Iris.Fall, a puzzle game with an extraordinary art style, has “light and shadow” as its core concept. 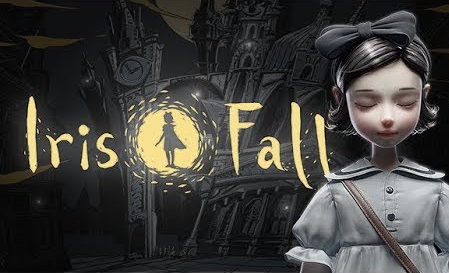 With a combination of graphics that have a strong black-and-white contrast and an imaginative storyline, Iris.Fall gives players a gaming experience full of wonder. Unique black-and-white contrast art style - The game’s visual style uses a pure black-and-white cartoon style, relying on the transition between light and shadow to create a distinct visual experience, both exquisite and visually impactful. A perfect fusion of gameplay and light & shadow system - The concept of “light” and “shadow” runs throughout the designs of the game’s art, story, and puzzles. By switching between light and shadow, players go through the two worlds of reality and shadow, feeling the unique experience of interlacing black and white, light and shadow, 2D and 3D. Immersive story experience - Players become fully immersed in the plot through the stylised suspenseful atmosphere of the setting and the story, making players’ progress in the game more like a spiritual exploration.